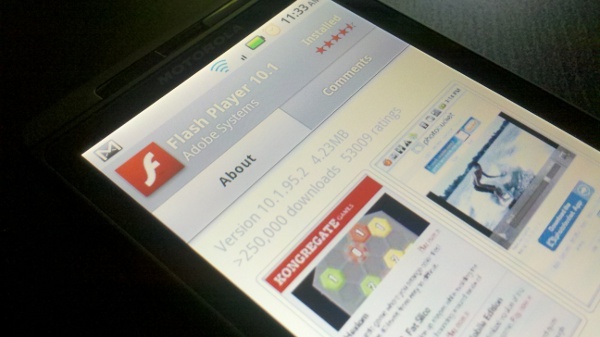 Flash 10.1 for Android recently topped 1 million downloads from the market which is quite an achievement, but the more interesting issue is whether or not 1 million users are satisfied. I know that I have had nothing but positive experiences with Flash’s performance on my Incredible and Droid X, but what about the rest of the userbase? The original Droid, who’s specs don’t technically meet minimum requirements, has the largest hold on the Android world and early reviews aren’t necessarily screaming positive pie. How is Flash working out for everyone? Loving it? Hating it? SuperOneClick Should Root Most Devices, No SDK Required?